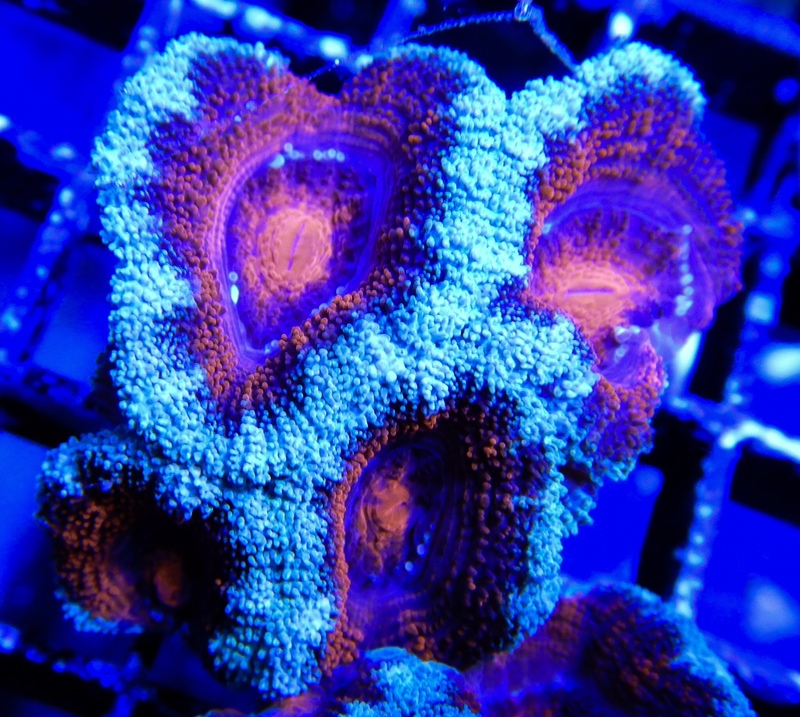 Discussion in 'Aquarium Corals' started by mikejrice, Nov 19, 2018. Difficulty Level: Most micros are fairly easy to keep. Feeding: Micromussa are extremely aggressive eaters with very capable tentacles. They will easily catch and consume most food types including frozen, liquid and even pellets. 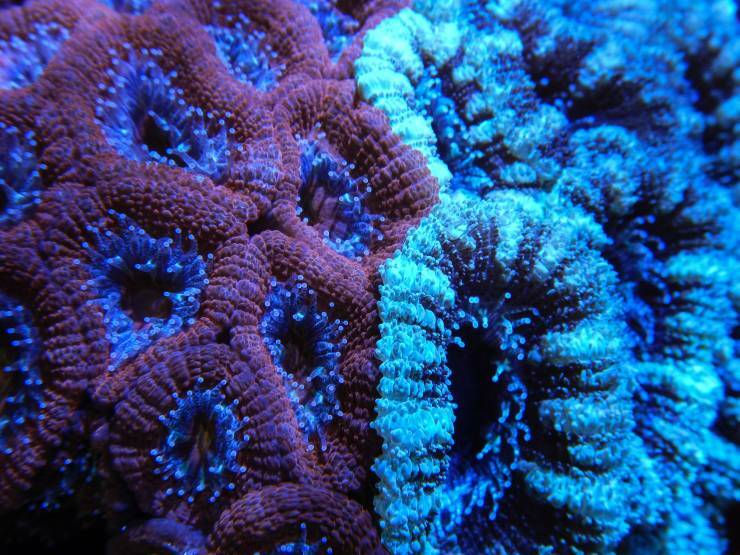 Take care as their feeding aggression can sometimes be taken out on neighboring corals. 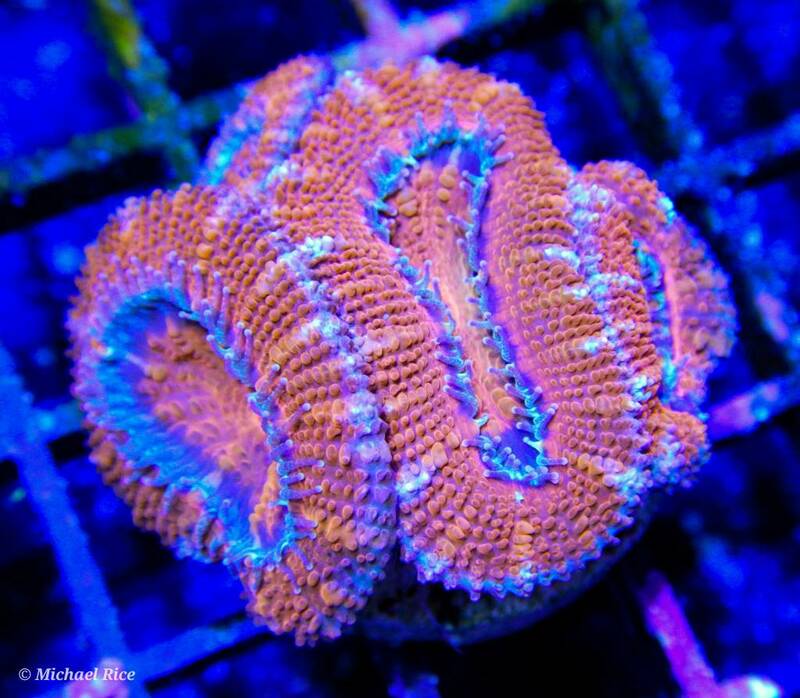 Lighting: Micros will thrive in a wide range of lighting. 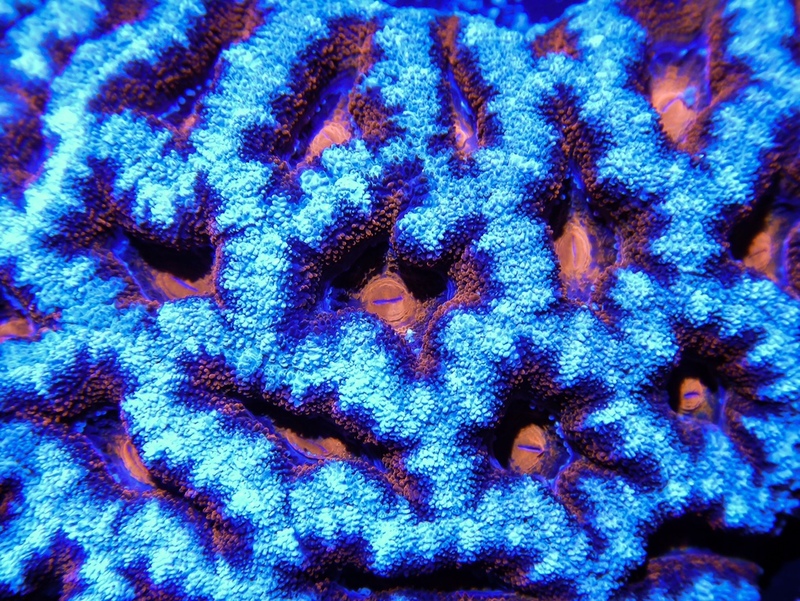 As with most hard corals, bleaching is a concern, so always acclimate by starting them lower in the tank and slowly move them up to your desired location. Waterflow: Micromussa can adapt to most flow condition. Placement: Micros are very aggressive, so be careful to give them plenty of space. 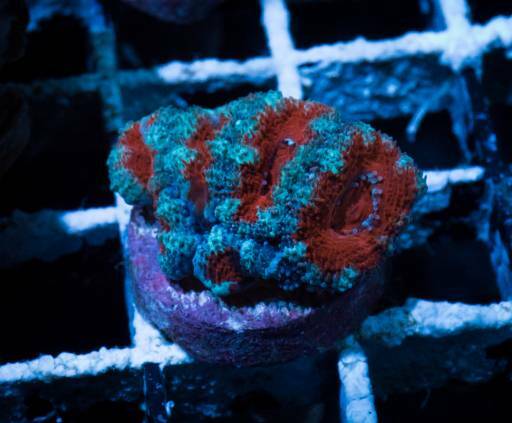 The color varieties of micro lords are just about as endless as zoas and palys these days, but once in awhile a truly amazing one pops up in my flats. 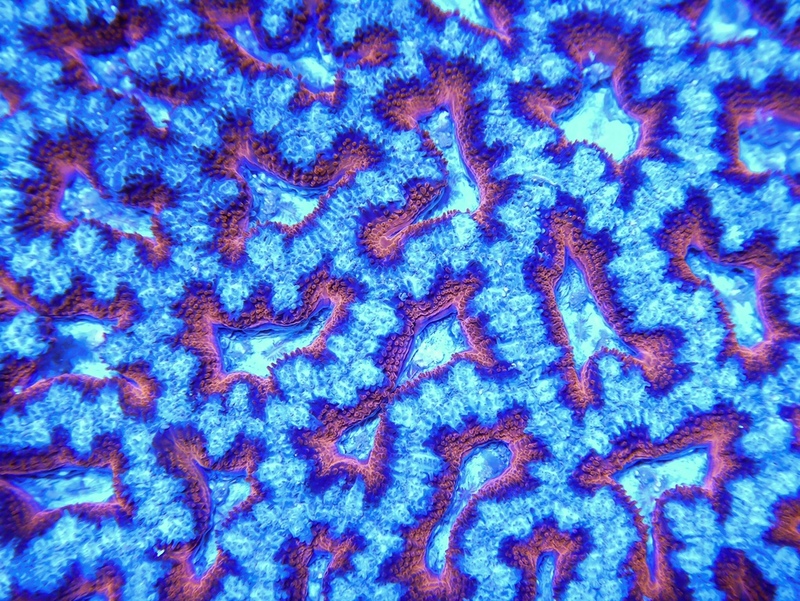 This rainbow colony came in looking pretty interesting, but it wasn't until I cut it up and looked at a couple of polyps really close that I realized how crazy it is. So much color and pattern, but what really has me is that light blue teal color. Love when micros fill up and get extra puffy. 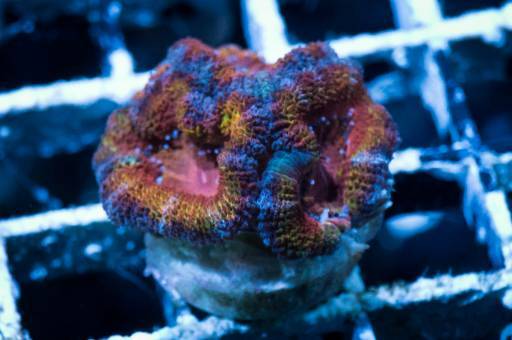 Here’s a nice colorful colony that came through this week. Such a great pattern to fill a frame with. 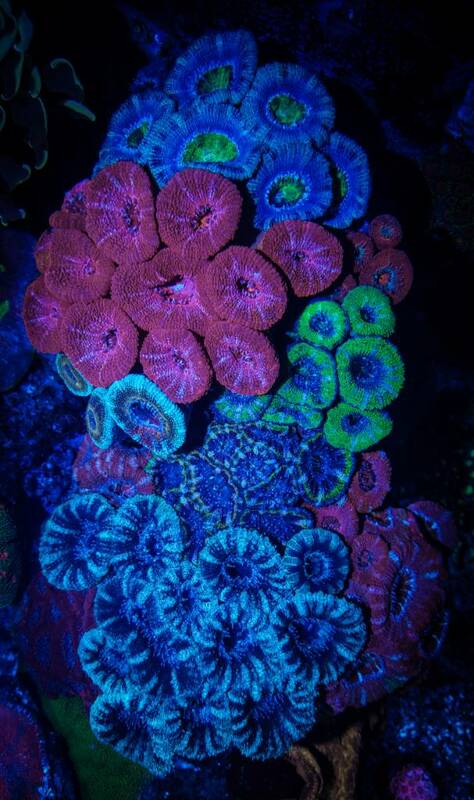 Some super high contrast acans! 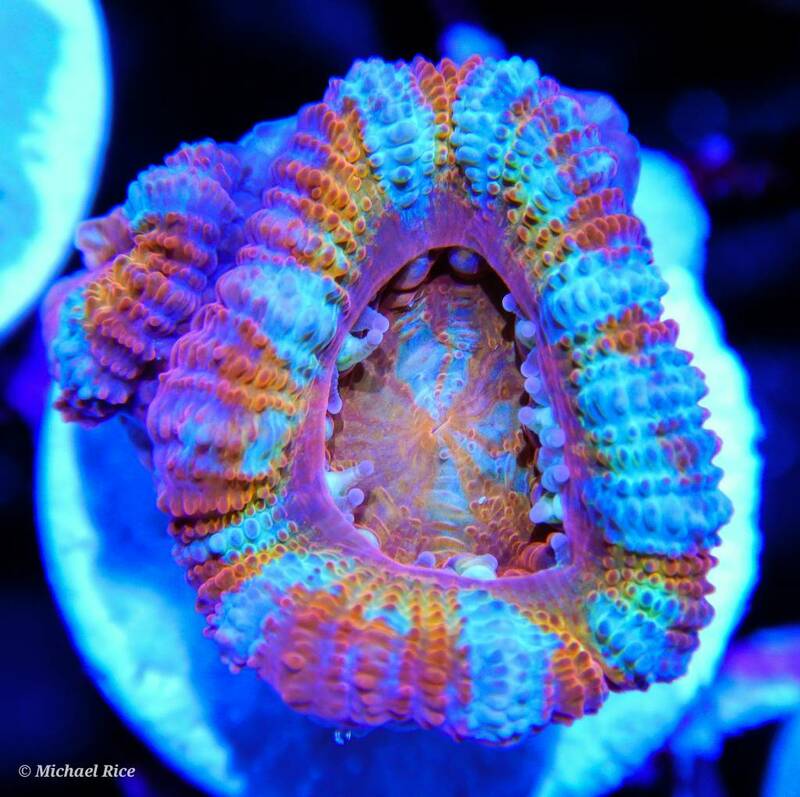 I just can’t stop with these acans!